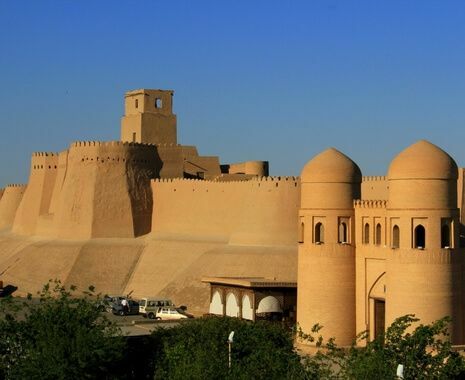 Travel in comfort aboard the Orient Silk Road Express train along the legendary Silk Road, avoiding the lengthy road journeys through the rough desert terrain of Uzbekistan. 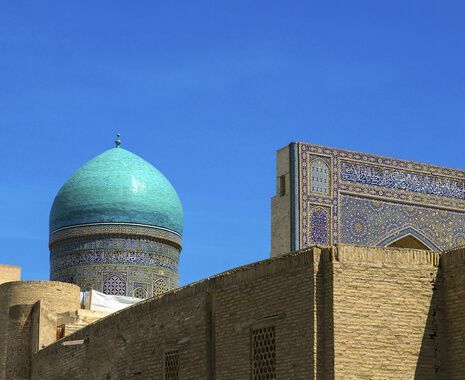 Explore some of the most significant cities in Central Asia and discover the vital roles they had to play in trade along the Silk Road. 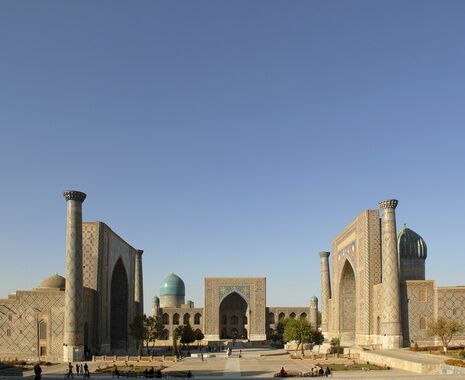 This tour is based in 3- and 4-star accommodation. Price is based on Ali Baba class cabins on the train. Your arrival and departure transfers may be shared with one or more other parties and, when on board the train, all transfers and excursions are operated as a group with other passengers who may or may not be Cox & Kings clients. 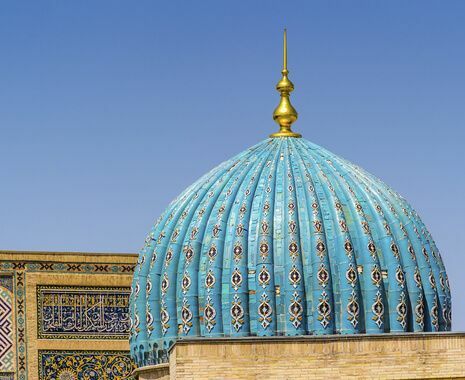 Travel in comfort aboard the Orient Silk Road Express train, which offers Ali Baba, Aladdin and Kalif class cabins. An Ali Baba compartment provides sleeping space for two guests in two lower berths and combined washing and toilet facilities are located at both ends of each car. The Aladdin class cabins are the same size as Ali Baba cabins but feature air conditioning (during travel). The Kalif class are larger in size and include en suite bathroom facilities including a wash basin, lavatory and shower, and are also attended by a special travel guide. The restaurant cars seat all passengers in one sitting, serving excellent international and local cuisine. After dinner, these cars offer a bar service for you to enjoy an after-dinner drink.